It was an awesome team effort! It takes a lot of work to cleanup a river, and we owe a great deal of thanks to our many dedicated volunteers, including members of Pile Drivers Union Local 56, members of the Mattapan Food and Fitness Coalition, volunteers from the New England Aquarium live blue Service Corp., and students from the Wentworth Institute of Technology. While this may seem like a lot of trash, the overall amount collected was less than previous years, and we see that as a sign of progress. View photos of the cleanup. 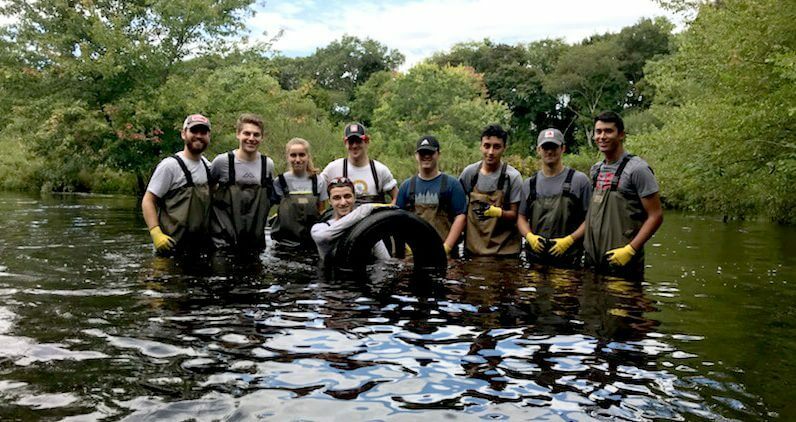 Register for the Neponset River Cleanup!